Virginia is widely acknowledged as a state that strongly supports the rights of citizens to own and carry guns. A number of recent laws demonstrate this support by allowing Virginians to open-carry guns in most public places. These new laws are likely to lead to a greater number of people carrying guns openly in public. Now that Election Day is drawing near, the question naturally arises: should it be legal to open-carry at Virginia polling places on Election Day. The issue of open-carry in polling places has come up a few times in recent elections in Virginia and elsewhere. One specific instance in Virginia occurred in 2011 when an election officer attempted to carry a handgun on his hip at the polling place. The chief officer at the polling station told the election officer that he could not remain at the polling place while he was wearing his handgun. The election office informed the chief officer that he was not violating any laws by having his gun at the polling station, but he was still not allowed to remain at the polling station with the handgun. According to the election officer, the chief officer was concerned about the handgun making people inside the polling station uncomfortable. This incident indicates an important issue in Virginia about the legality of open-carrying a gun at a polling place. The incident mentioned about indicates that there seems to be confusion about what the law actually says. As it stands now, there is no statute in Virginia that either forbids or permits citizens to open-carry when they go to vote or work as an election officer. The fact that no statute explicitly spells out what is allowed and what is not allowed leads to a great deal of uncertainty. Existing gun laws combined with the recent trend to allow open-carry in more public places has exacerbated this uncertainty. A recent law passed in Virginia prevents localities from making laws that would impose regulations on carrying firearms that are stricter than the regulations imposed by the state. This law has already led to some confusion as local police officers have attempted to enforce local firearm restrictions that are now no longer valid under the new law. It is not hard to see how this could lead to confusion at polling places at which any local laws prohibiting carrying a gun in the polling station would also be void. This creates particular problems for polling places, such as community centers, where there is no state statute governing open-carry on the premises. Recent advisory opinions issued by the state Attorney General appear to echo the more permissive stance on open-carry in public places. One such opinion says that concealed guns can be carried in church services if the church permits doing so and the gun is being carried for self-defense. This is a change from previous stances that prohibited carrying guns in places of worship. This may also have consequences on Election Day in Virginia as many churches are used as polling stations. The opinion may create confusion as to whether it is also legal to open-carry at a church while the church is being utilized as a polling station. The issues mentioned above demonstrate the need in Virginia for some clarity on whether individuals may open-carry guns in polling places. This is especially important because the decision will likely start other debates on important constitutional issues since voter intimidation could well be alleged if guns start appearing in polling places. There is a stark conflict between the 2nd Amendment right to bear arms and the 1st Amendment’s freedom of speech, which provides constitutional support for anti-voter intimidation statutes. The state should take steps to provide clarity so the public (and election officials) know how far the right to bear arms extends and what constitutes voter intimidation on Election Day. 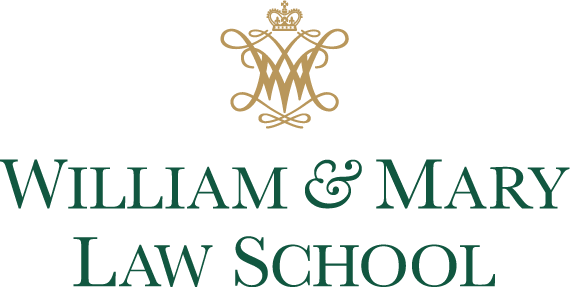 Scott Van Der Hyde is a second-year student at William & Mary Law School. The Battleground 2012: Whose [Presidential Ballot] Line Is It Anyway?